More than 2.5 quintillion bytes of data—as much as 250,000 times the printed material in the U.S. Library of Congress—come into existence every day. What this data means for the average enterprise is opportunity: the opportunity to improve fraud protection, compliance and personalization of services and products. But first, you need to make sure you are working with the right data and that your data is consistent and clean. While data governance itself is not a new concept, the need for significantly better data governance has grown with the volume, variety and velocity of data. With this need for better data governance has come a need for better databases. Before we get into that, let’s make sure we’re clear on what data governance is and how it’s used. Data governance is the establishment of processes around data availability, usability, consistency, integrity and security, all of which fall into the three pillars of data governance. In an age when data silos run rampant and “bad data” is blamed for nearly every major strategic oversight at an enterprise, it’s critical to have someone or something at the ready to ensure business users have high-quality, consistent and easily accessible data. Enter data stewardship and the “data steward.” A data steward ensures common, meaningful data across applications and systems. This is much easier said than done, of course, and quite often the problems with data stewardship arise from a lack of clarity or specificity around the data steward’s function, as there are many ways to approach it (i.e., according to subject area, business function, business process, etc.). Nevertheless, properly stewarding data has become a key ability for today’s enterprises and is a key aspect of proper data governance at any organization. Where data governance itself is the policies and procedures around the overall management of usability, availability, integrity and security of data, data quality is the degree to which information consistently meets the expectations and requirements of the people using it to perform their jobs. The two are, of course, very intertwined, although data quality should be seen as a natural result of good data governance, and one of the most important results that good data governance achieves. How accurate is the data? How complete? How consistent? How compliant? These are all questions of data quality, and they are often addressed via the third pillar of data governance: master data management. MDM is a powerful method used to achieve all of the above via the creation of a single point of reference for all data. Considering the recent Facebook fiasco with personal data, and with big regulations like the General Data Protection Regulation (GDPR) now in effect, it’s impossible to understate the importance of data governance. NoSQL databases were designed with modern IT architectures in mind. They use a more flexible approach that enables increased agility for development teams, which can evolve the data models on the fly to account for shifting application requirements. NoSQL databases are also easily scalable and can handle large volumes of structured, semi-structured and unstructured data. 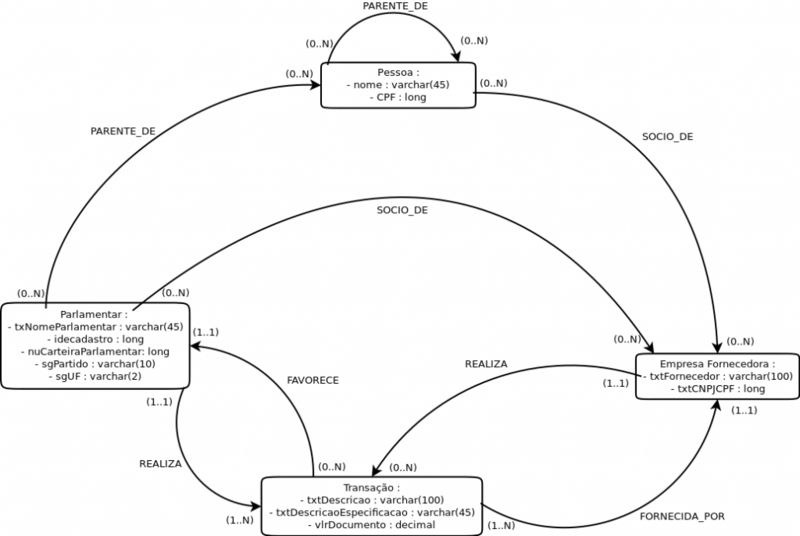 Graph databases can be implemented as native graphs, while non-native graph databases, which are slower, store data in relational databases or other NoSQL databases (such as Cassandra) and use graph processing engines for data access. Graph databases are well-suited for applications traversing paths between entities or where the relationship between entities and their properties needs to be queried. This relationship-analysis capability makes them ideal for empowering solid data governance at organizations of all types and sizes. From fraud protection to compliance to getting a complete view of the customer, a NoSQL graph database makes data governance much easier and much less costly. To learn more about how to use a NoSQL graph database for data governance, click here. Developers have always had to do more with less. What the OrientDB team has loved about working with developers over the last eight years is learning all the ways in which they’ve innovated around complex data challenges even as data types, formats and application usage have changed. Find new, complex relationships between data points. Leverage many modes of usage, such as graph, document, geospatial, key-value and reactive, in one place. Power faster transactions beyond traditional databases. Apply graph technology without needing to deploy and spend resources on multiple systems to handle different data types. OrientDB’s goal has always been to offer a solution that gives developers all the tools they need, in one place, to build innovative applications that meet their unique business challenges. It goes beyond providing an open-source product; at OrientDB, we aim for an open innovation strategy that makes not just the code, but the business transformation steps, accessible to developers from all types of industries. We’re happy to announce that we’ve launched the next phase of this mission: OrientDB.org, a free, one-stop resource for downloading, using, optimizing and deploying the OrientDB graph database solution. Built just for developers, the site includes product documentation, help files, case studies, training materials and release notes to help developers in every step of graph database use, from download to deployment. Luca built OrientDB in response to the challenges developers face as new business applications come into play across the enterprise. When database technology was invented 40 years ago, developers didn’t have to contend with capturing and managing unstructured data from social networks, mobile applications and big-data analytics. Visualizing the impact of application-level changes across an enterprise that uses a complex spider web of interactions and structured and unstructured data. Combining complex system and application design from different lines of business, and continually identifying high-value data and how it is shared between applications. Consolidating the costs of application improvement, maintenance, support and impact analysis. Increasing application performance and security while supporting scalability. Over the years, we’ve baked features into the OrientDB platform that enable developers to solve these challenges, including our Teleporter migration tools, auditing capabilities, offline monitoring, database backups without delays, and dynamic-distribution configuration and clustering. The work of an application developer is always a moving target, though, as new business needs, data inputs and business goals shift. Even as data volumes and formats have grown, developers have continued to create cutting-edge applications using OrientDB. They’ve not only found a way to absorb and work with uncharted data types, but they’ve spun them up into next-generation business applications, from responsive, geospatial network management for telecommunications to real-time data governance reporting. There are now over 100 contributors and thousands of production users in our open-source community. Each month, OrientDB is downloaded more than 80,000 times. Fortune 500 companies, government entities and startups alike have used our platform to build high-performing, scalable and secure applications. In 2019, our goal isn’t just to provide developers with the tools they need to use graph solutions; we want to empower them to build the most powerful cloud business applications in the world. When you’re building next-generation applications from scratch in your enterprise, there’s not often a blueprint for how to do it. With OrientDB.org, we’ve centralized instructions on the many use cases and applications our customers have built using the OrientDB platform. The site includes deep insight into how they’ve built and deployed those solutions, on both a technical and transformational level. Take advantage of the institutional knowledge from a multitude of developers across the world by checking out the OrientDB.org site. It’s our heartfelt Valentine’s Day gift to the innovative application developers working hard to move their projects forward every day! What if average citizens were able to quickly experiment with public government spending data to determine whether any officials were misusing taxpayer funds? That’s the question Gabriel Mesquita, a software developer and computer scientist from Brazil, recently set out to answer. In a post on Hacker Noon, Mesquita explored whether any Brazilian government officials were using their monthly allowances illegally by buying products and services from companies owned by people they know. In his experimental attempt to detect fraudulent patterns in spending, he turned to OrientDB, the world’s fastest NoSQL database. Mesquita’s model detects which deputies performed multiple transactions with specific companies, whether those companies donated to the specific deputy’s campaign and whether the deputy has any connections, directly or indirectly, to each company in question. The results? Seven deputies spent their monthly allowances with companies that supported their campaigns in 2014. Another deputy received a donation from a company and then used taxpayer money three different times to support that company. None of this behavior is illegal, Mesquita suggests. But, in support of transparency and to serve as another check and balance on politicians, it’s important that taxpayers know about it. The Brazilian Democratic Movement (Partido do Movimento Democrático Brasileiro) uses more money than any other political party. Politicians spend the most money on travel. Since data pertaining to friends and relatives of politicians isn’t available in Brazil, Mesquita used “fake data” to flesh out his model. Because he couldn’t access all of the real-world data needed to truly test his thesis, Mesquita’s exercise was experimental in nature. Still, he found the right tool in OrientDB. For more details on Mesquita’s project, read the full piece on Hacker Noon. 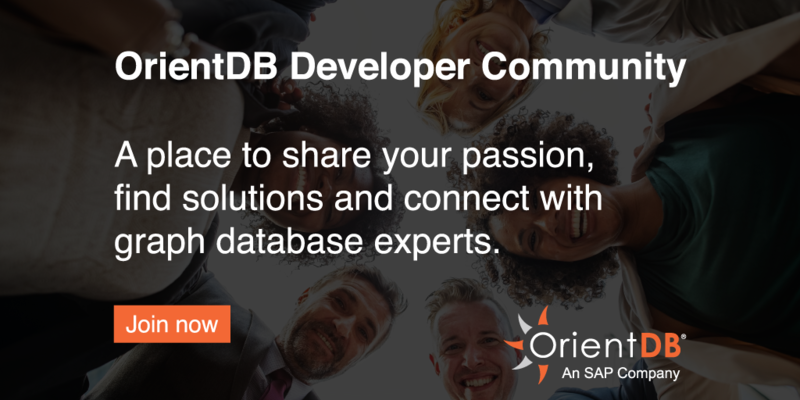 To learn more about the world’s leading multi-model graph database and NoSQL solution, visit https://orientdb.com. If you are using 2.2.x series, please upgrade your production environments to v2.2.19. View our Change Log for a full list of new functionalities, bug fixes and other improvements.